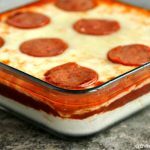 Perfect for dunking, this easy pizza dip recipe will impress your guests and have them coming back for more! 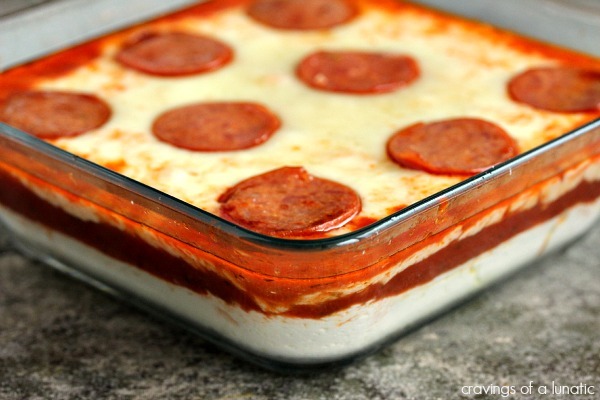 I usually make my pizza dip in the oven, but some days you just want pizza dip immediately. You don’t want to wait for it to cook in the oven. So you take the easy way out and shove that bowl of layered yummy goodness in the microwave. 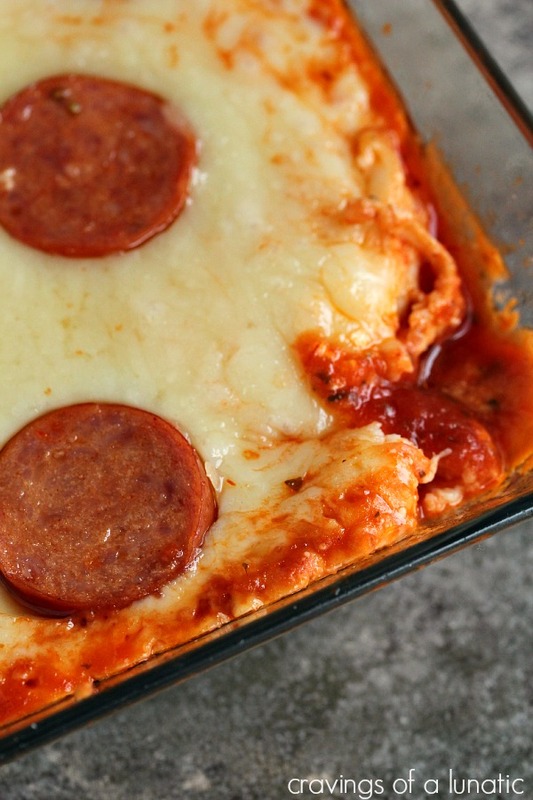 Is the presentation as pretty as a perfectly golden brown pizza dip from the oven, heck no. But are you, or your guests, really going to give a flip as you’re shoving copious amounts of pizza dip into your pieholes? I think not! Now go forth and microwave your dips. This has been a public service announcement from a very hungry lunatic. Spray a microwave safe dish or bowl with non-stick spray lightly. Soften your cream cheese. You can take it out of the fridge ahead of time, or pop in a bowl and microwave it for about 30 to 45 seconds. Mix it with a spoon and then transfer it to the microwave safe dish. Spread evenly. In a medium sized bowl mix your pizza sauce, sugar and spices. The sugar and spices are optional. I like a little extra kick in my dip. Pour this over top of the cream cheese and smooth out. Sprinkle the cheese over top evenly. Pop the dish in the microwave, and depending on the size and strength of your microwave, cook for about 2 to 4 minutes. You want the cheese melted so it's nice and stretchy when people dunk. Serve with chips or crackers, or a giant spoon and a big old smile! Thanks again to all our participants, sponsors and to Kristen for co-hosting with me. Make sure you continue to tune in all week for more delicious recipes and more spectacular giveaways! I can think of soooo many people who would DIE over this dip!! That sounds yummy. Is it on your blog Kayle? 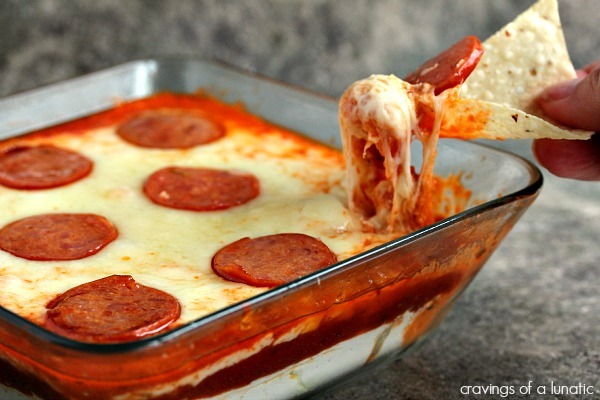 yummm pizza dip! looks so fun for the big game! When I do things like this in the microwave, I sometimes use my kitchen torch to give the top a bit of color. 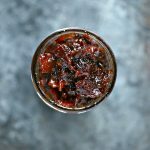 So I have a quick and easy recipe with the looks of an oven-baked one! This looks terrific. Forget the chips, just give me that big spoon! My favorite appetizer is homemade baked spinach artichoke dip-always a game day favorite! 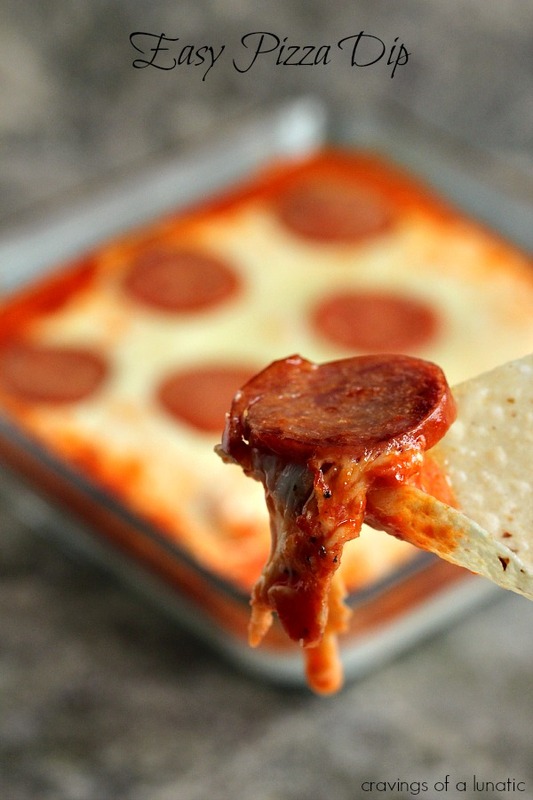 Gonna have to try this pizza dip though because I have a feeling this one could become a new fav! This is every man’s dream of an appetizer! Chips and dips and baked Brie cheese! My favorite is fresh made guacamole! I like a layered dip with beans, cheeses, fresh veggies – so many possibilities! My favorite game day appetizer is buffalo chicken wings. I love dips but I’ve never had any that look this good. 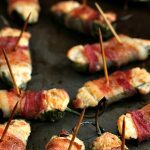 This looks like a great dip for the Super Bowl! Chips and Nachos with guacamole and salsa. Nachos with cheese, onion, black olives, jalapenos, heated and served with salsa and guac. Nachos and hot wings are always a given. Nachos with melted cheese and guacamole. 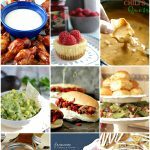 I love the cookware set and my favorite dip is buffalo chicken dip! chicken wings are the best…..
My family and I are not sports folk, but one of our favorite appetizers is french bread with coconut oil. Simple, healthy and so delicious! I love making cheese straws or spinach dip! My favorite is Pita chips and hummus. I like cheese-y garlic pull apart bread and spinach dip. I have a few, but my very favorite is chicken breast sliders on homemade rolls with sliced red onion & homemade guacamole! I like spinach artichoke dip served with tortilla chips. My favorite is chicken wings and spinach artichoke dip. I just wanted to let you know I received the Anaolon 10-piece collection and am in awe. 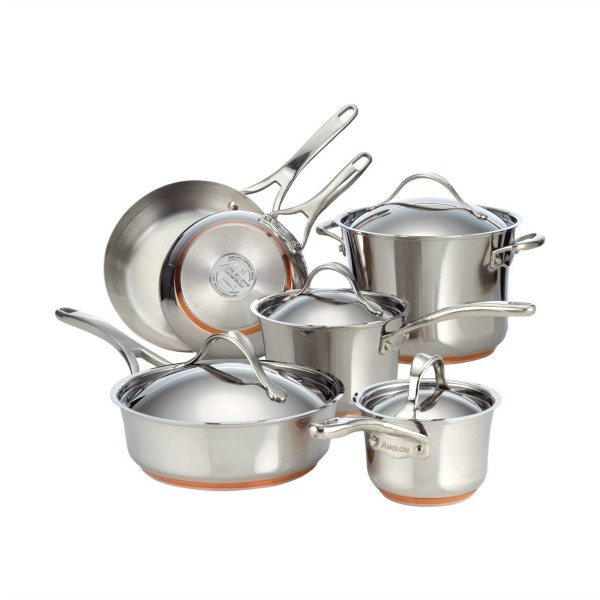 This is the best pots/pans set that I have ever owned. I want to thank you so much for the wonderful giveaway as well as the wonderful recipes on your website. I think the parmesan chips with this dip would be FANTASTIC! 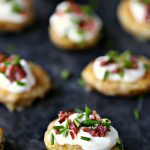 Could I replace the cream cheese with something else? If so, what? You could but it won’t taste the same. My advice would vary depending on why you want to substitute it. Is it that you don’t like cream cheese or is it an allergy? I substitute a mix of ricotta and yogurt for some dips because my daughter hates cream cheese. You would mix equal parts of each together. So if a recipe calls for 8 ounces of cream cheese you can substitute 4 ounces of ricotta and 4 ounces of yogurt. Mix together. Yum. You could try other soft cheeses too. I usually keep goat cheese on hand a lot. Not sure how goat cheese would taste with pepperoni though. But it would be lovely with a veggie pizza dip for sure.